Originally launched as "Australia's Only Sleight Of Hand Monthly" and published between 1974 and 1982, The Blueprint still retains that claim today. Editors Barry Govan, Ian Baxter, Murray Cooper and Gerry McCreanor churned out a much-discussed journal that featured contributions from the likes of Ed Marlo, Jon Racherbaumer, Tom Gagnon, Dan Tong, Ray Grismer, Phil Goldstein, Jeff Busby, Jerry Mentzer, Harry Lorayne, et al. For the Close Up performer, absolutely certain to please. 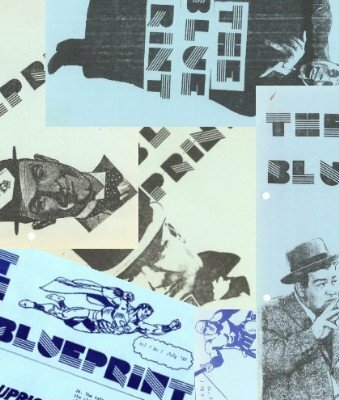 The Blueprint was started by Barry Govan and Ian Baxter and taken over for the last two volumes by Murray Cooper and Gerry McCreanor. It ran from July 1974 to April 1981, a total of 82 issues.